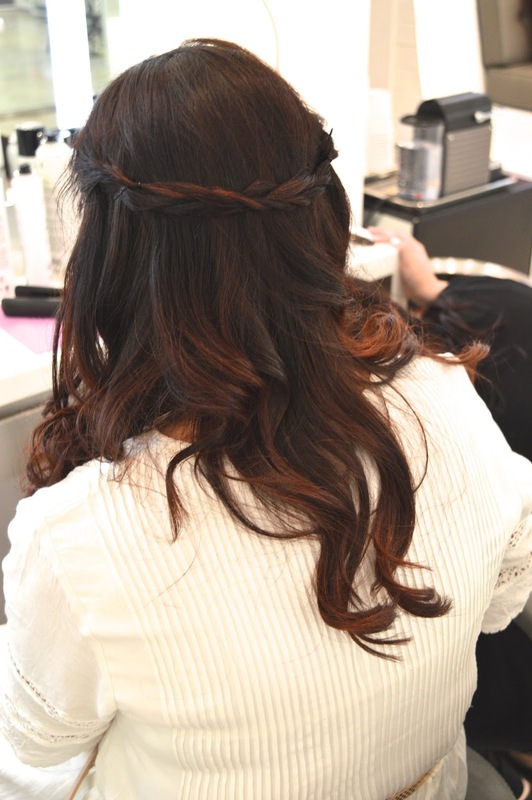 Do you ever wish you could get your hair done after work for a night out? Or maybe before work for a meeting? 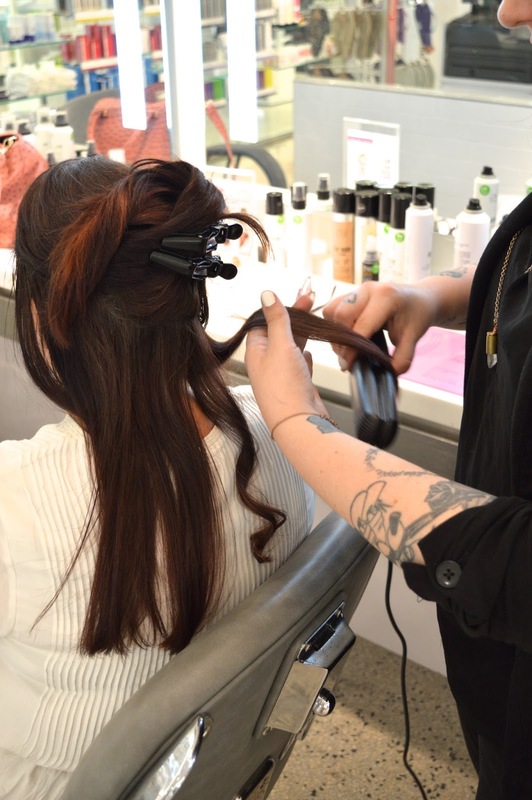 The Ten Spot Style Bar in The Bay on Queen Street West in Toronto offers a 20 minute hair makeover. For $25 you can choose from one of many hairstyle options. 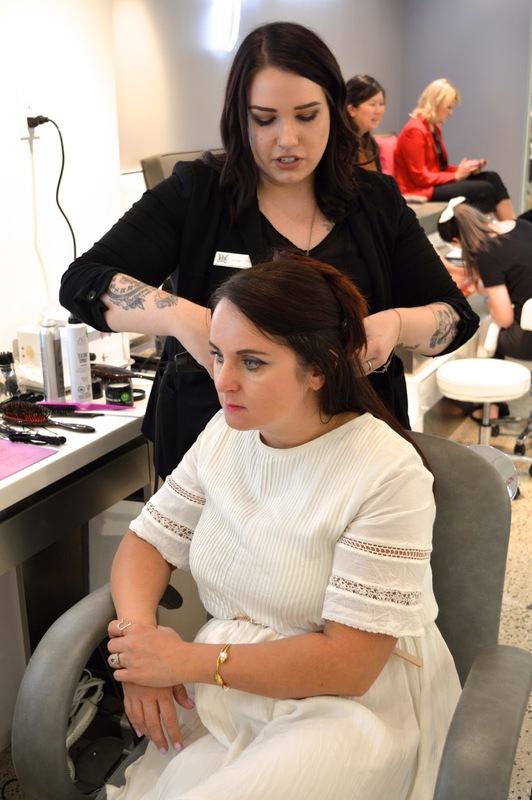 I had the pleasure of getting my hair done at The Ten Spot Style Bar and I loved every minute of it. My stylist Tiffany was fantastic. I chose the half up/half down 'do' and I was thrilled with the results. Take a look at The Ten Spot Style Bar in the pics below.